In the Cashing In With Audio & Video Multi-Media video course you will learn exactly what steps you need to take to start implementing video in your business today. If it wasnt necessary, we took it out. If it was necessary, we made it simple. You really cant go wrong with this course because its loaded with all the tips you need to get started right away and free of all the fluff, clutter and flim flam that other courses have. * Video Product Creation Tips A 5th Grader Could Do! - You will learn how you can leverage the power of video to create hot products that sell like crazy without being a video engineer or having any technical knowledge! * Awesome Audio Tricks - This one section alone has made tons of marketers a fortune just by implementing a few strategies contained here. You will learn where audio performs best and how to put it in place quickly. * First Hand Profit Clinic - Here you will not only hear about all of the success stories out there that revolve around the use of audio and video but you will see them all first hand! Just sit back and relax as you tour sites using audio & video effectively and profitably for your own ideas! 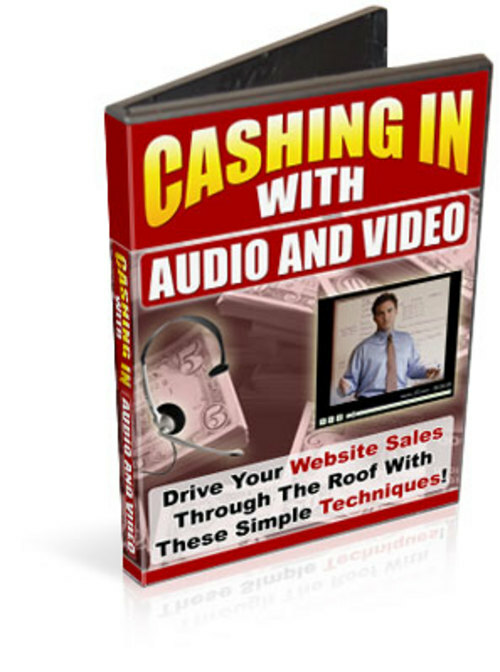 * Creating Recurring Income With Audio/Video - You will learn how you can create recurring income streams that you can count on like clockwork every month using the power of audio and video. How? Youll have to tune into this session. * The Blog Blisterer -Im sure that youve seen the wave of bloggers using audio and video on their websites but in this section you are going to learn the dos and the donts surrounding doing this as well as how to do it for maximum profit! * The Sound Of A Squeeze - This ingenious technique will show you how to can use audio and video in a unique way to build a huge subscriber base that you can mail and profit for the rest of your life! * Response Rocket - you can use audio and video to take a site that isnt converting or that you would like to increase sale on and do it in a jiffy. You dont have to be a high paid copywriter to use this tactic!